This summer, Outside the Box, is starting some new outdoor projects! We are expanding our existing garden, building a greenhouse, and bringing chickens to our space. We are asking for your donations to help make these projects happen! Any donation is helpful, and will directly improve our community! Groups that choose to participate in these programs will learn new skills, get their hands dirty, learn to practice care and responsibility, teamwork, and move towards longer-term sustainability. We also believe these projects will create positivity, joy, and comradery for ALL our participants and folks in the building! 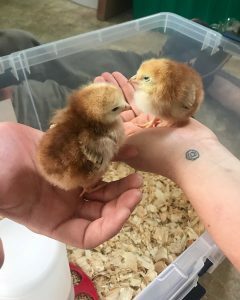 We can use eggs and produce in our kitchen for cooking classes, learn to build small business skills, and learn about urban agriculture together! Do you have any of these materials at home? Or do you know someone who does? Would you like to help us on any of these projects by volunteering? Get in contact with Michelle at mmiller@otbonline.org. Watch us as we grow! Items for Outside the Box’s Greenhouse, Outdoor Garden, and Chicken Coop Initiative!